Welcome to our online home of The Sanctuary Village of Power. We hope that you find something here that will be enlightening, inspiring, and/or empowering! Also, make sure to connect with us on social media or in person! We'd love to have you as a part of our family! Love God; Love Others; Serve The World! To be a community of authority and strength that sets the example of true Christ-like gospel, a gospel of loving and caring for people from all walks of life and dispatch them to be examples to the nations. Worship - because God reveals Himself in Worship. Excellence - because God is glorified in Excellence. Life - because God sent His only Son so that we might have abundant Life. Love - because God is Love. 1671 Howell Mill Rd had been our home for nearly six years. When we found out the building was being sold, we hit the ground running with fundraisers, interviews, reaching out to the surrounding neighborhoods and contributing much of our personal financial investments. For us, it was extremely important to keep the building standing in the community even if we weren't always the people occupying it. Although we tried very hard, we, unfortunately, lost our fight for the building. After the hurt, tears, and disappointment, we finally came to a place of peace and believe God saw fit to move us. We knew then that it was time to shift our focus from the loss to finding our new home. We are happy to report that we have found our new home! SVOP opened the doors of 2857 Zane Grey Drive SE Atlanta, GA for the first time on April 1st, 2018. Although we are no longer displaced, we are still aggressively trying to raise funds for our new permanent home. We need your help to get us there. Your support goes far beyond helping us find a building. At The Sanctuary Village of Power, we believe in three main threads: Love God; Love Others and Serve the World! When you give to us, you're also giving to the seniors we feed every month at Heritage Station, to those in need in Malawi, Africa, to displaced refugees in surrounding areas and to the many people who consider SVOP their only family. We are simply asking you to help us so we can continue to be of service to others. Any donation helps and no amount is too small. We are a 501-C-3 tax-exempt organization. All donations are tax-deductible. We really can't do this without you. SVOP is putting everything we can into this investment, but we still need your help to reach our $75,000 goal! Join the movement and let us know you're standing with us! Click, "I'm In!" below! Keep up with our Shared Stories below! Check back periodically for a new SVOP story. 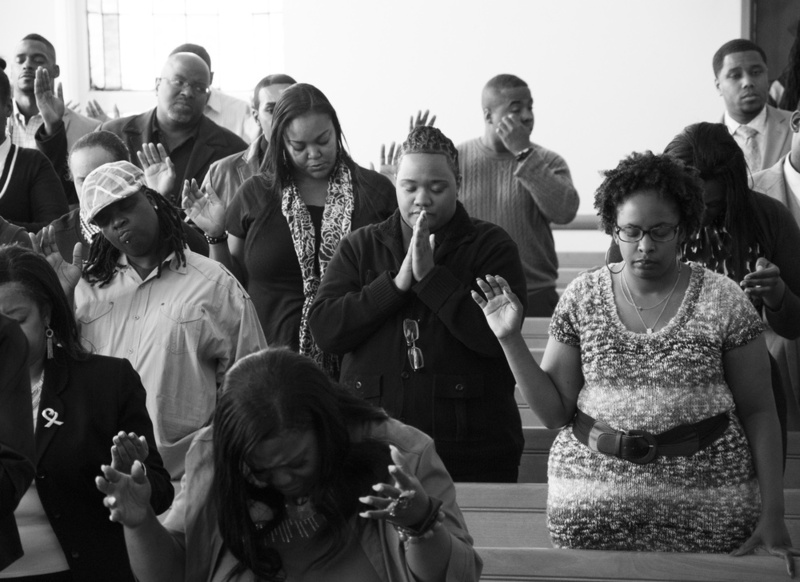 We are truly a church that encompasses people from all walks of life! We want to invite you into our lives and stories and let you know why #WeAreSVOP ! Every single member has a story and a different reason as to why they are connected and what moment made them realize SVOP was the place for them. From the fun times to the tears, in one way or another, we are all committed to Loving God, Loving Others, and Serving the World! SVOP is always on the move! At any given time, we may be in the streets feeding the homeless or our usual Mid-week Bible Study may be moved to the park! Keep up with the very latest news, updates, pictures and videos by following us on social media! Also, see what events are coming up by visiting our SVOP NOW page. Click the button below to take a look! PASSIONATE LOVERS OF JESUS CHRIST! Everyone's schedule can get hectic at times. Our media ministry has remained diligent in the reproduction of every single service should you ever have to miss one. Whether the sermon is from the most recent week or months ago, we will make sure you are provided with the media you need to feed your soul. Shop our media store to find the latest songs and teachings or contact our media team at media@svopchurch.com to order from our archives. CLICK HERE to visit our media page. We've got some awesome leaders at SVOP that are dedicated to making you a part of our family and helping you find your place in our church. Click the button below to see a list of our ministries and meet our ministry leader. Whether you’re a first time visitor or a new member, we all have questions sometimes. We want to make sure all of the questions you have before and after visiting a service are answered. Here is a little more information on what you can expect should you decide to come fellowship with us. Click the button below for more details on our services! At SVOP, we believe the scripture to be true (Acts 20:35) and we are constantly looking for ways to give! Click below to make a secure donation to The Sanctuary Village of Power.